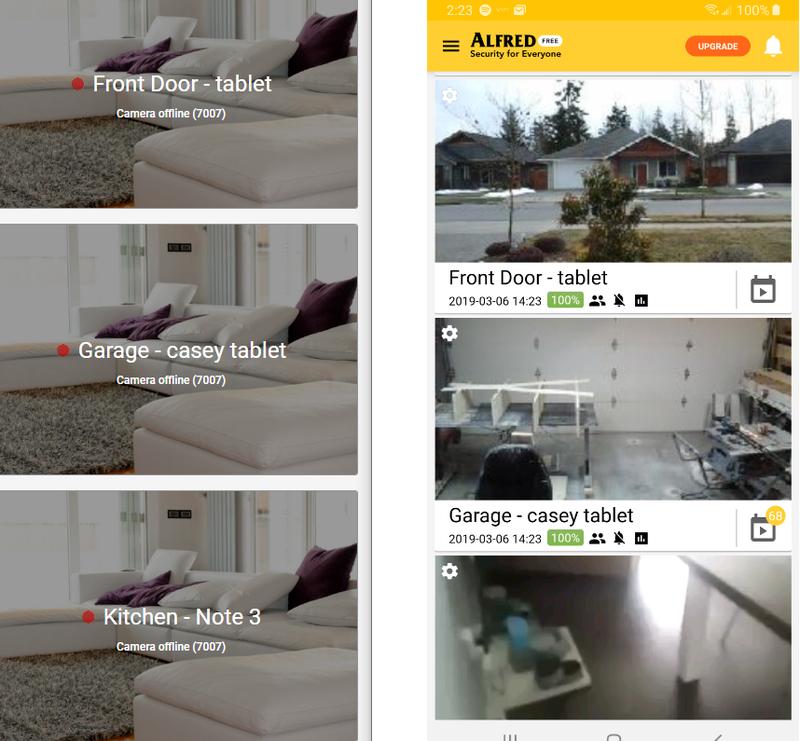 Post update problem with web viewer - Got a Question - Alfred Center | get the most out of the best home security app! Web Viewer has worked somewhat ok for the last couple months. Now since updating the app on my Microsoft surface pro running Alfred through Blue Stacks (Camera) my Samsung S9 (Viewer) works fine, but the Web Viewer on my other computer (2nd viewer) gives the “Camera Offline 7007” error, and will not connect. I have deleted history and cookies on the computer. Logging out and then back in. I’ve tried to log in from an incognito window which does not work to fix the problem either. Is there anything else I am able to try to get the Web Viewer on this computer to connect to my camera?? During the set up of my devices I read all instructions & information as thoroughly as possible. There is a setting for deciding the actions incoming viewers of Always Accept/Owner always Accept/deny any. So it is my understanding that there can only be 1 viewer at a time. Whenever you experience issues with Web-based stuff, try alternate browsers. I have Chrome, Firefox, Waterfox, Edge. All three have same issue then its a computer issue such as plugin or driver usually. Device Model Name: It’s a built desktop. And your webviewer is not working on either Firefox or Chrome? Just to clarify. Further to the thread, right picture is from my viewer app, left is from the webviewer. taken at the same time. like 5 mins ago. Further to that, if it was a flash or java issue, they wouldnt push out a release of the app if flash/java release wasnt out yet to the public. If they did, thats bad programming. Thats like releasing a video game on a brand new engine that no computer is able to use. No one does that. Simmer Simmer, Because your android works and not PC, that tells me its probably flash and java, but lets try one thing before you go verify for me your java and flash is updated. Log back in to Viewer. If not Flash and Java %99. Unless 7007 error means no internet, then I have a different idea as well, just bear with me. I’ll get you up and running again. You do all those and, all are up to date, and you still have problems try different emulator if that’s whats is having viewing issues. But you shouldn’t be having PC browser issues with everything updated. Your using the PC browsers for viewing correct, not the emulator droid browser. You just got cameras hooked up to the emulator and use a browser to view on same pc as the emulator? How diid you make out? Woah. I thought I had technical difficulties! Holy I just got a glimpse of the shadow of my ignorance when it comes to devices & all etc. I really am very impressed with how the support team works. Thank you Ricardo, I logged in this morning and everything worked fine. No changes were made to any of my fully updated (java and flash) devices… I’ve logged into the webviewer with no issues. So what ever was done on your end worked great for my issue. Glad to hear that the problem no longer exists. Our engineers found a bug yesterday and fixed it right away. Thanks again for reporting the issue here and help us identify it. If you have any further question/feedback, feel free to contact us at any time!